Real Gangsters Threaten Life Of Fake Gangster - Oh No They Didn't! 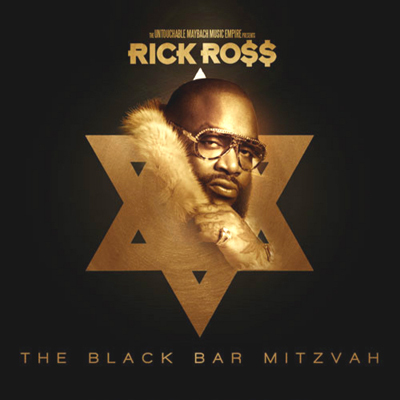 So Rick Ross is being forced to cancel concerts in the face of threats by Gangster Disciples members who are upset that the rapper has invoked the name of a gang founder in one of his songs. In YouTube videos, gang members warn Ross, 36, that he will end up in a hearse unless he pays tribute for using Larry Hoover’s name in “B.M.F. (Blowing Money Fast).” Hoover, serving life in federal prison, co-founded the Gangster Disciples in Chicago in the late-1960s. Another gang leader, Demetrius “Big Meech” Flenory of the Black Mafia Family, is also mentioned in the song, which shares an acronym--“BMF”--with the Ross song itself. Like Hoover, Flenory is a federal inmate (though he has a release date in 2032). Ross, of course, has a working familiarity with the penal system, having served previously as a corrections officer in Florida. The rapper (real name: William Leonard Roberts) initially denied working as a screw, but eventually fessed up when TSG published documents from his Department of Corrections personnel file. 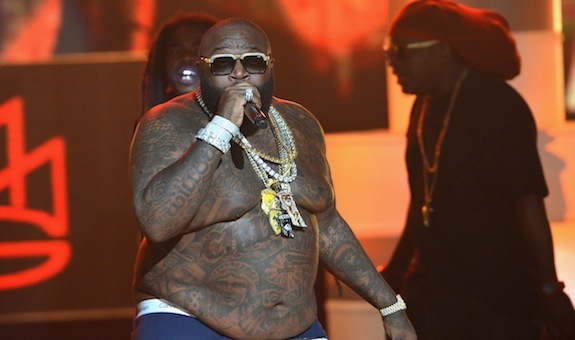 Ross--who has an encyclopedic knowledge of hoodlums of every stripe--copped his handle from notorious L.A. drug kingpin “Freeway” Ricky Ross, who earlier this year lost a lawsuit brought againt the performer for boosting his name and identity. I'm sorry but I see a bald black head covered up by large ridiculous glasses and everything else covered with a hand holding a microphone. perfectly legit. I thought I was the only one! Lol I used to jam to their songs when they first came out. I never understood why people talked about hating them. I still don't. Hold Me Back is one of the best songs of 2012, ain't no shame in that at all! it's really not embarrassing. i love ross. And this story is confusing. The pus would prolly smell like bacon too. Which is kinda gross, but how can anyone hate bacon? I probably shouldn't find this funny. I laughed at the title. Put that picture UNDER A CUT! Tell 'em you biracial butterfly, you. I know it is said each time someone busts out a gif of Jade, but she really needs to come back into our lives. It's funny how much she pissed me off in that season and I would RAGE every time someone was sent home before her... and now I miss her every single day of my life. omg I just LMAOed for real. thank you. I MISS this Beautiful biracial butterfly! I literally spent two hours of my work day yesterday watching GD videos threatening Rick Ross. Some of them have a surprisingly good production value. I can't believe thugs have HD cams. GD have good music production skills, who knew! p.s. Presuming you've heard it before...I haven't heard Love Sosa because I refuse to tolerate Chief Keef, should I give it a chance? I personally love it. This icon is from the video. It's seriously one my favorite songs of 2012 but I also have no qualms about listening to Keef. brb trademarking the star and crescent. I'm mad that they left her and Anna's "Titanium" a capella off of the soundtrack. This whole article is just lol.